Weather: Warm and sunny but with a cold edge to the wind. 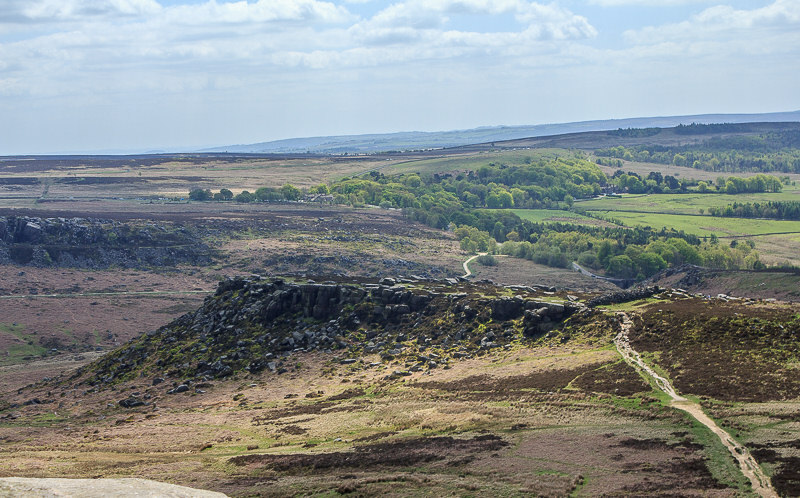 The view along the valley from Upper Burbage Bridge. 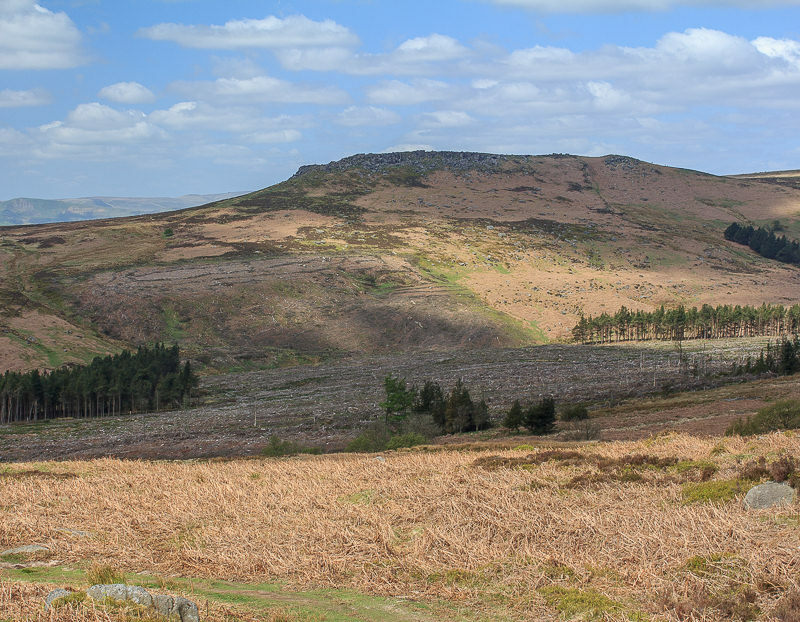 Higger Tor & Carl Wark from the same spot. 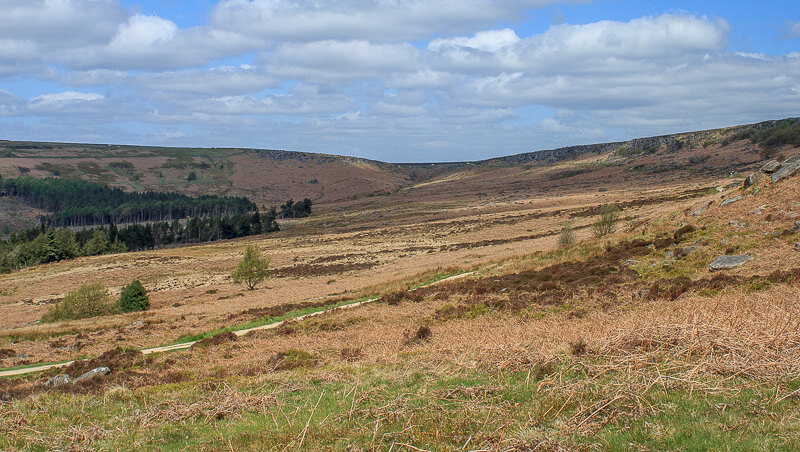 Looking down the valley from the start of Burbage Rocks. 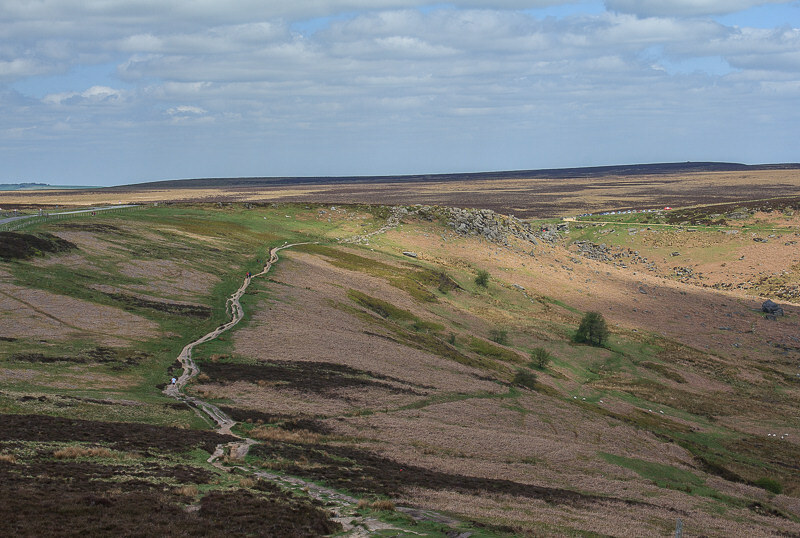 Heading along the top of the rocks and Higger Tor and Carl Wark get ever closer. 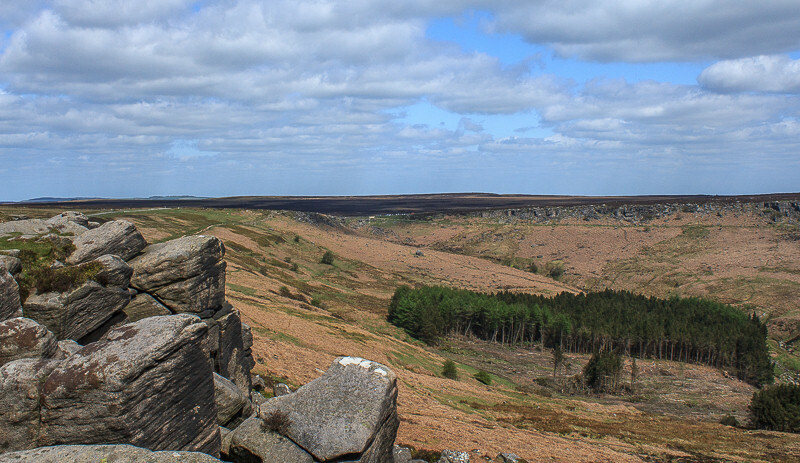 My route has taken me along the top of Burbage Rocks. 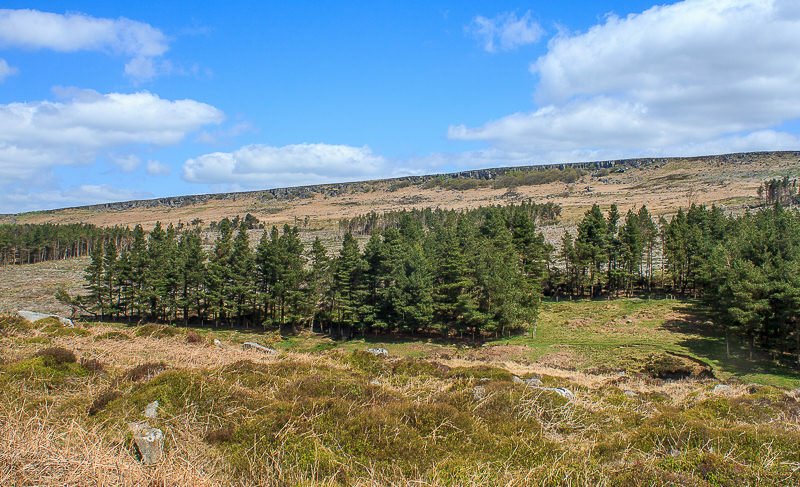 As I get closer to the path the mess left by the removal of the wood that previously filled the valley floor is all too evident. 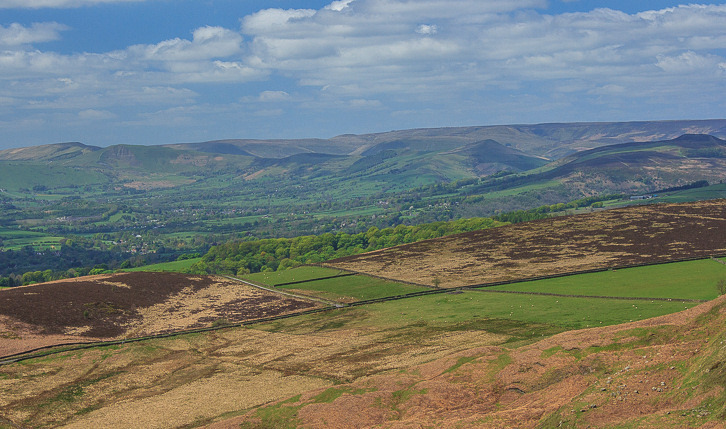 Thankfully the view back up the valley is still pleasant. 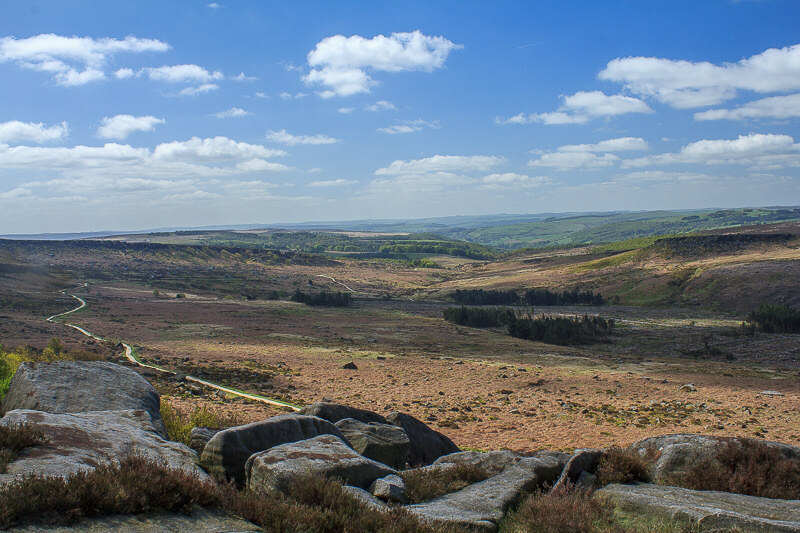 Down by Burbage Brook the view ahead is dominated by Carl Wark. 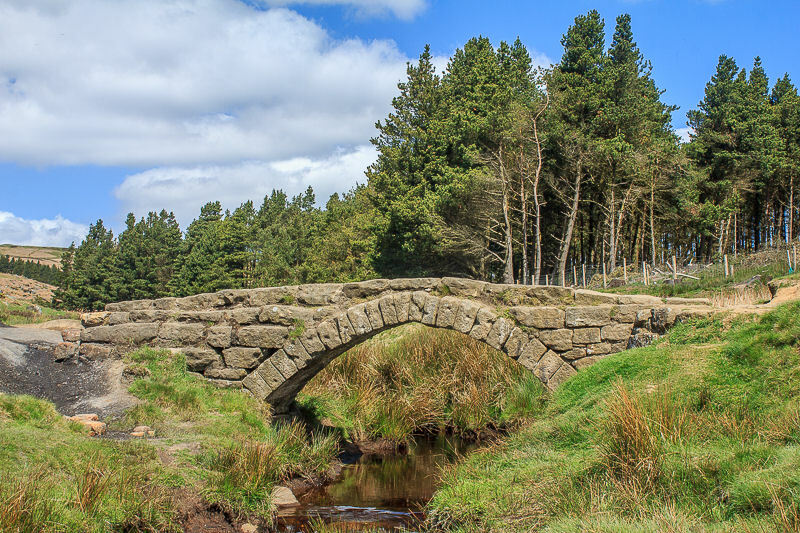 The bridge over Burbage Brook, a pleasant place to sit when the ground is drier than it was today. 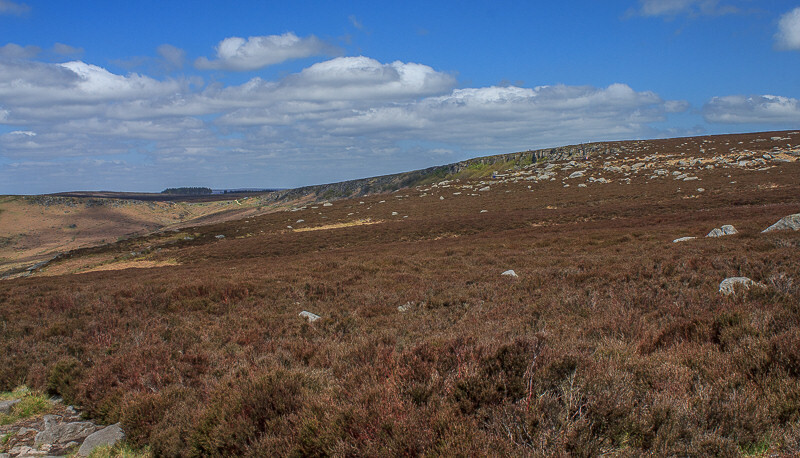 Heading up to Carl Wark and the view across the valley is now of Burbage Rocks. 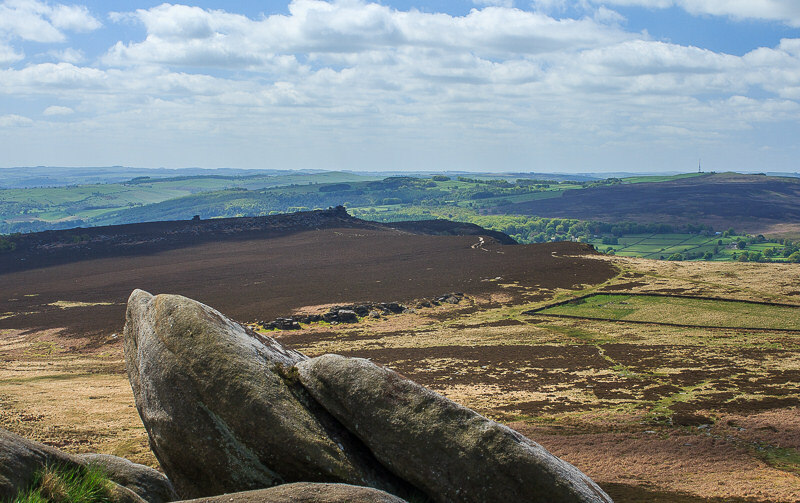 The best view of Higger Tor is always from Carl Wark. 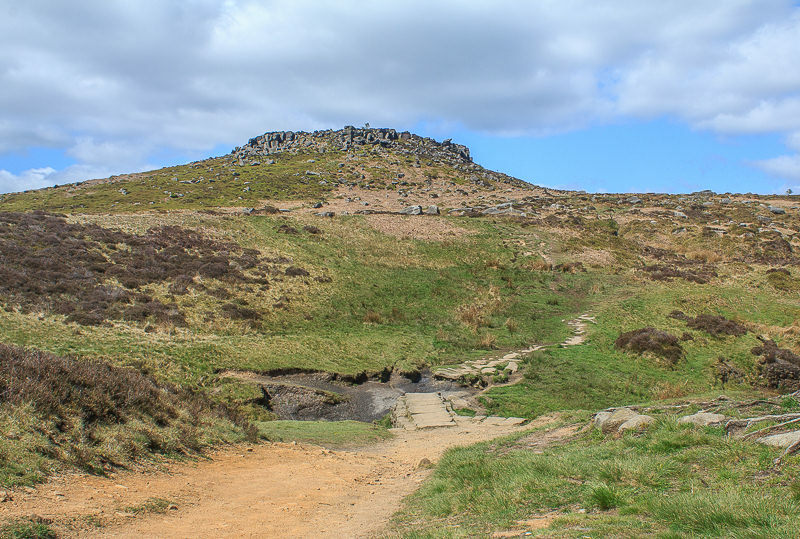 After the usual scramble up the rocks at the top of Higger Tor the almost compulsory photo of Carl Wark. 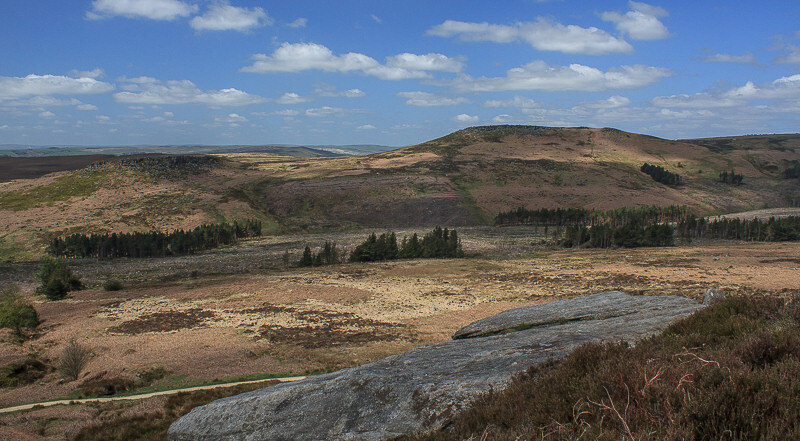 Lunch was taken at the top of Higger Tor admiring the view across Hathersage Moor to Mother Cap. 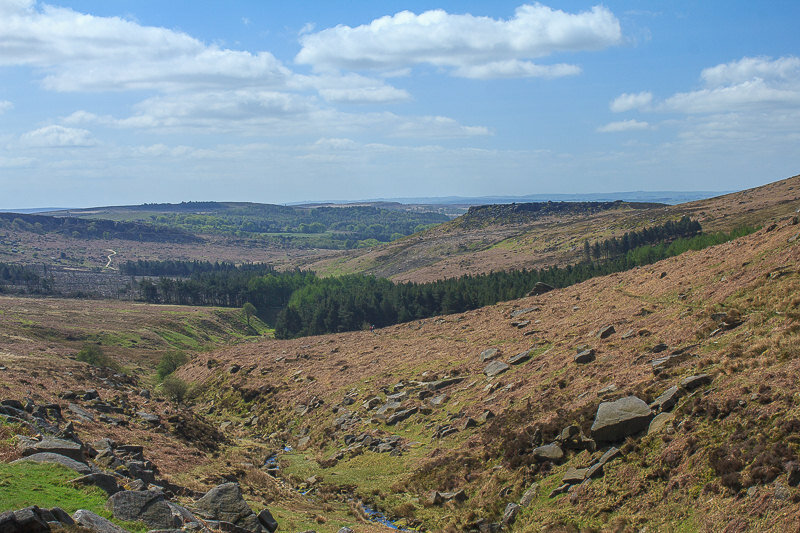 Looking towards Upper Burbage Bridge from Higger Tor. 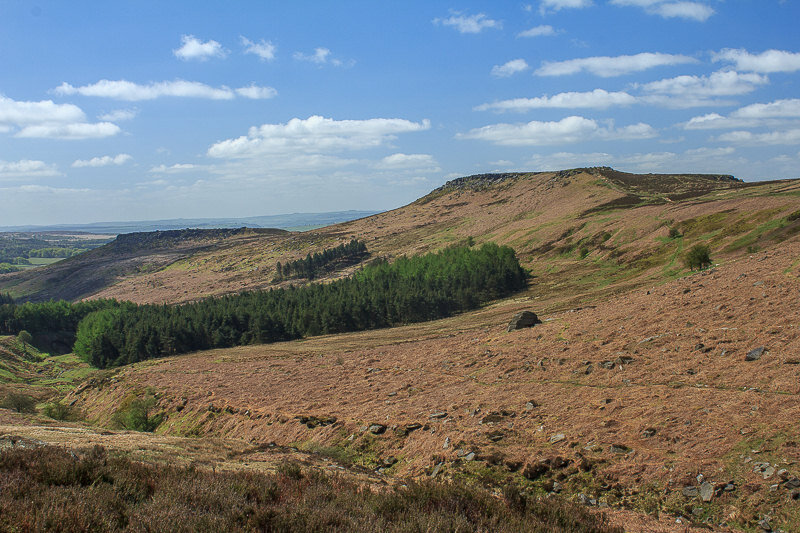 A short diversion across to the other side of Higger Tor rewards me with a view of Callow Bank. 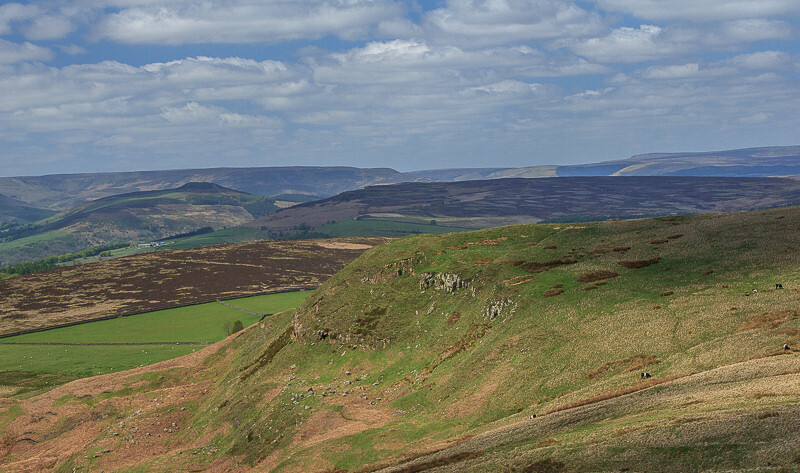 Beyond Callow Bank the view stretches across the Great Ridge to Kinder Scout. 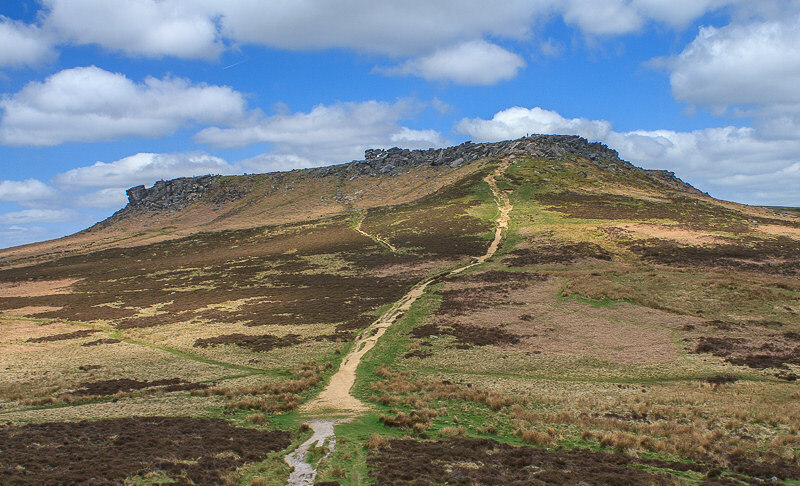 The path down from Higger Tor will take me across Fiddler's Elbow. 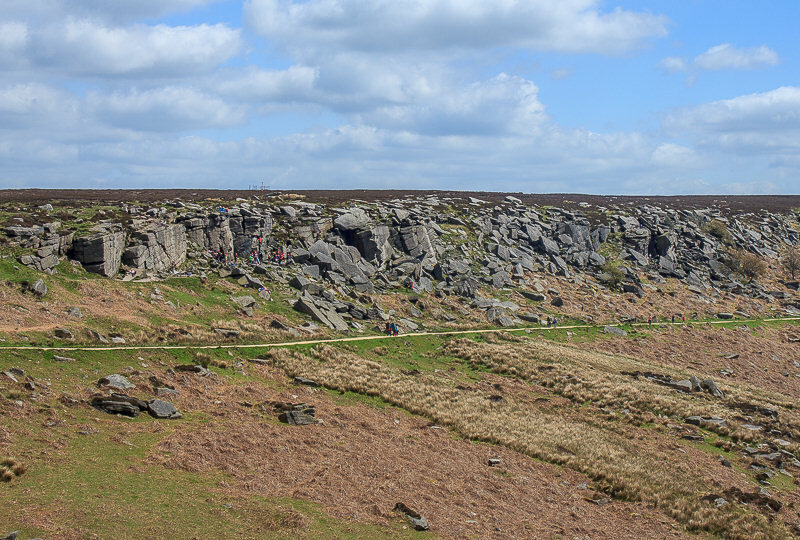 Plenty of climbing parties on Burbage Rocks now. 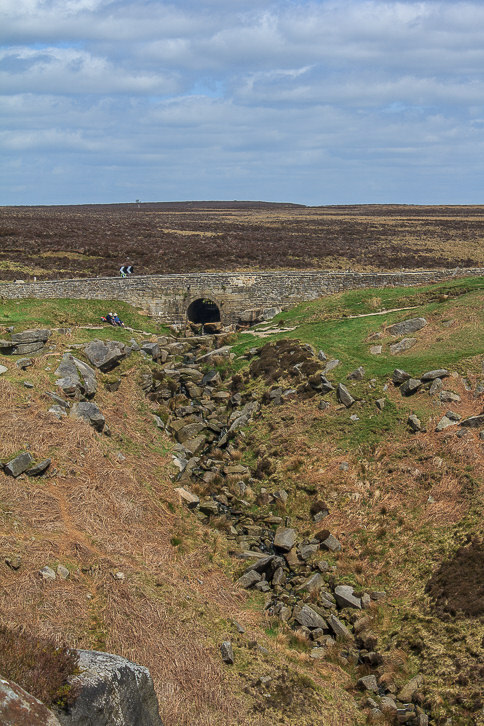 of water coming down the rocks at Upper Burbage Bridge.